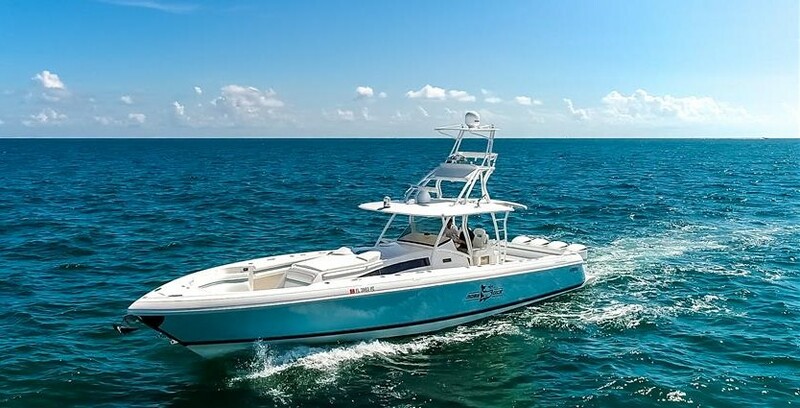 The Intrepid 430 Sport Yacht combines outboard power and Intrepids unique hull design to accommodate the needs and desires of serious fishermen, as well as pleasure boating passengers. A luxurious sense of space meets unmatched performance rarely found in boats of this size. This is pure boating pleasure from the smooth, powerful ride to its state-of-the-art accommodations, the Intrepid 430 Sport Yacht blends luxurious space, well thought out efficiency and peace of mind to create the best boat-owning experience on the water. Only Intrepid could give you a sport yacht that does so much so well.